Hello, friends! I love working with sequins. 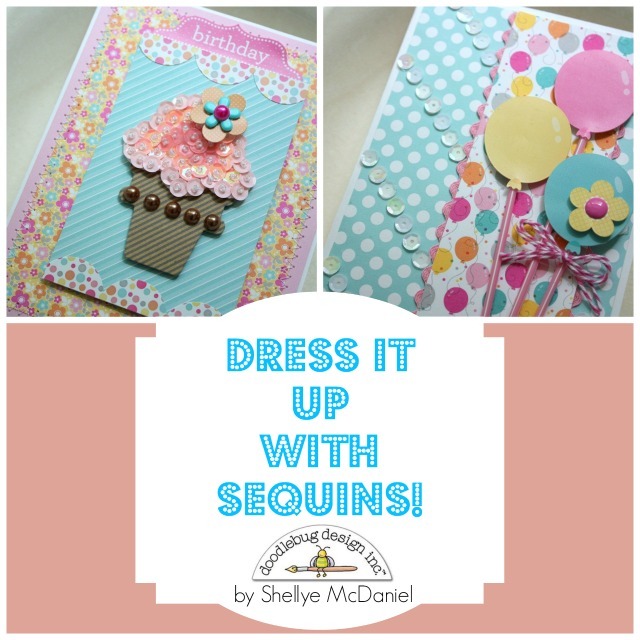 See more sequin inspiration on the Doodlebug Blog this week! Love how you helped me get hooked on the idea of sequins!! Sewing them would be hard but so much fun!! Thank you so much for teaching and inspiring me more!!! I absolutely LOVE this! You put a lot of thought into it, and I'm smitten. I just had to become a new follower, and would LOVE having you follow my little blog (when you get a moment).